Registration Refund Deadline November 5. Optional Group Lunch at Mader's Restaurant The meal will be a German lunch buffet for $22.00/person tax/tip included. Pay on the day. Spend the holiday season with your favorite Pride and Prejudice characters as they gather at Pemberley, the stately home of Mr. and Mrs. Darcy. Synopsis: In this clever and charming sequel to Jane Austen’s masterwork written by the most produced playwright in America in 2017, the bookish and oft-forgotten middle child of the Bennet family finally has her day. An unexpected guest sparks Mary’s hopes for independence and the chance to be the heroine of her own story. Told with exceptional modern wit and dazzling period style, this romantic comedy will delight Austen aficionados and newcomers alike. 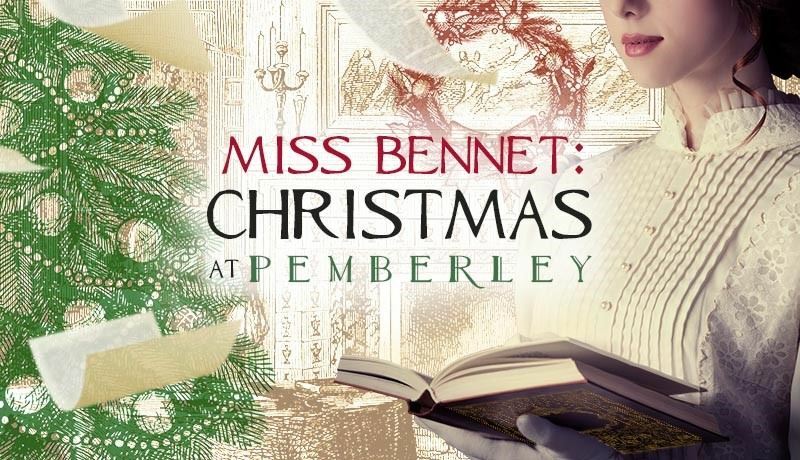 Learn more by visiting the Miss Bennet: Christmas at Pemberley website regarding the cast, video clips of cast performances, interviews & rehearsals, and all the latest news as opening day (November 13th) draws near. Miss Bennet will be staged in the large, yet intimate Quadracci Powerhouse Theater. For information including photos about this unique theater venue, click here. Our bus will make two neighborhood lunch stops in addition to the Group Lunch option at Mader's. First, at the Milwaukee Rep for their pre-show luncheon (RSVP by Monday, November 26, to Jaime Lacy at 414-290-7076 or JLacy@MilwaukeeRep.com), and second at Milwaukee Public Market in the Historic Third Ward. The group lunch will be at Mader's Restaurant. This historic landmark Milwaukee restaurant will be decked in Christmas finery and is offering a German lunch buffet for $22.00 per person, tax and gratuity included. One stop will be at the Milwaukee Public Market containing eight distinctive eateries. 11:15 AM Arrive Milwaukee Rep 139 E. Kilbourn Ave. entrance for Rep luncheon or nearby downtown restaurants. 12:25 PM Bus returns to Milwaukee Public Market for those who need a ride to the Rep-in-Depth pre-talk and would rather not walk the five blocks to the Milwaukee Rep.
4:00 PM Begin bus boarding for return to Madison 139 E. Kilbourn Ave. entrance. There will be adequate time for coat check retrieval and restroom use. For further information: Contact Miss Bennet: Christmas at Pemberley theater trip organizer, Jean Kasten, jeankasten@yahoo.com, 608-358-5448, and Tammy Albrecht, tbirdalbrecht@gmail.com, 608-449-0401.